Crowdfunding is a worthwhile way for startups to raise capital and test the market for innovative ideas. However, crowdfunding is not easy, and there’s a lot that goes into making a crowdfunding campaign successful. What crowdfunding is, what it isn’t, and how to launch a crowdfunding campaign that’s destined to prosper. Crowdfunding marketing strategies, proper product presentation, and communication activities aimed at creating awareness of the crowdfunding. How to ensure that you choose the best crowdfunding platform for your startup, along with some platform examples. Crowdfunding is a capital raising approach where money is raised through the collective efforts of a large number of people. It’s primarily done online via dedicated crowdfunding platforms in conjunction with social networking sites. It combines the best of both social media and crowdfunding platforms by letting a large number of people donate money, often in small amounts in a relatively short amount of time. 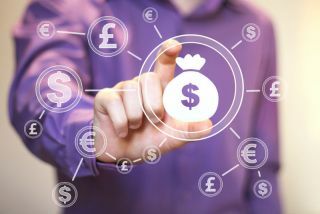 Unlike traditional financing, crowdfunding depends on collective donations from a large group of individuals rather than a limited pool of wealthy individuals or institutions. These individuals usually commit their money to projects and companies that they want to support. Many people support these projects because they get a sense of supporting and being the first customers of an innovative product or service. That can also mean they’ll get their product or service first, which can be significantly cheaper than when it hits the market. Crowdfunding is not a quick fix for any fundraising problems that a startup is experiencing. Most people tend to think that crowdfunding is an easy route to raise money. It’s not. It should be approached the same way that you would approach a bank for funding - with a strategy. This is primarily because crowdfunding is used to fund a wide range of entrepreneurial ventures such as community-oriented social projects or creative and artistic projects. Therefore, it’s not a desperate last-minute substitute for money or a marketing strategy for brands. Today, raising funds through crowdfunding is not as challenging if you have an effective marketing strategy. Many businesses have achieved immense crowdfunding success with the help of a good marketing strategy. A great example is the Pebble E-Paper watch crowdfund that raised a record $10,266,845 in three days. Some other noteworthy crowdfunding successes include Ouya that raised $8.5 million in 29 days, Pono Music that raised $6 million in 30 days, and Dash that raised $3.3 million in 50 days. Your startup can accomplish the same level of success or higher if you create an effective plan. Here are a few important strategies that you can follow to make sure that your crowdfunding campaign is successful. Before even creating any marketing material, you need to define who it is that you want to reach through your marketing strategy. One way you can do this is by researching and understanding who is most likely to support your campaign and building a way to reach them. This is because your crowdfunding’s success will rely heavily on how well you connect with your target audience. In case you are new, you can follow similar campaigns in the field to find inspiration on how to approach audience building. Once you narrow down your target audience, you’ll be able to determine how to market your crowdfunding campaign. For instance, if your product is fitness-related, your target audience can be narrowed down to fitness groups, social media fitness influencers, local gyms, and sports stores, etc. After that, you can create a blog, website, and/or social media channels to easily reach and communicate with them. Timing is key if you want to make your crowdfunding campaign successful. The launch date is very important. Some of the tricks you can adopt include picking a particular season or time for launch. For instance, if your startup is geared towards weight loss, you can launch in January or other seasons when people are desperately looking for weight loss. Another strategy is avoiding to launch your campaign when there’s a major event launch or when another startup is starting its campaign. For instance, if you are targeting young people, you definitely shouldn’t establish your campaign during the holiday. This ensures that your target audience isn’t distracted while your campaign is on-going. A great strategy here is to set an achievable fundraising goal that supporters can achieve with minimal effort. Therefore, the minimum amount set should be enough to enable your startup to begin when enough people give. Not only should you focus on achieving your funding goal, but also focus on timeline goals, production goals, and any other goal that will propel your project forward. For instance, it’s a great idea to keep all the promises you made during your campaign. By doing so, you are building credibility for any future projects and simultaneously not disappointing your supporters. The way you present your product to your potential backers determines whether your crowdfunding campaign is successful or not. The idea behind a great product presentation is to grab the attention of your supporters. It’s often at this point that supporters choose whether to support you or not. Therefore, make sure your crowdfunding campaign has a clear and concise message that captures their interests. Having a working prototype to show them is even better. It shows how meaningful your startup’s product is, and you are more likely to attract funds from those who see and love your product. A problem and a solution. The more relatable the problem your product or service is trying to solve is the more attention you’ll gather from your investors. For instance, not everyone likes walking to and from the video store. Netflix solved this problem by providing a one-time solution to this issue by providing a collection of movies right at the consumers doorstep. A personal touch. Ensure that your product presentation or pitch is warm, conversational, and above all - personal. This establishes you as a person in the investor’s mind and you evade the risk of being blacklisted as a generic project. Why you’re different. You need to let your potential investors know what sets you apart from other projects or products already on the market. The more advantages and solutions that your product or service offers, the more appealing it’ll be in the eyes of investors. Revenue and pricing. These two tell how your company is or will be making money. Having charts and graphics showing future income projections are powerful tools, especially if they point towards consistent and significant growth. Community building is one of the most essential aspects of a crowdfunding campaign. The easiest way to build a community is through communication. A great way to do this is to build your community in about three months (or longer) before the initial launch of your campaign. The goal here is to introduce them to your product in advance and help them understand how the product or service presents a unique value to them. The plan here is to reinforce ideas that lead them to donate. Afterwards, you can reach out to them through social media and via ads on Facebook and Google to plough them into your campaign. Not only are you building a community, but you are also creating a community of independent marketers that make your startup goals their own. Fortunately, due to the existence of many social media networking sites and tools, creating a content strategy is easy(ish). However, developing a content strategy requires a lot of time and dedication. Therefore, your content strategy needs to be integrated and redundant. The idea is to create content that creates social media engagement on social networking sites. The subtle art of responding to messages on social media sites is more likely to get you more participation and commitment from loyal supporters. Drafting logical content that lets your readers understand the scope and objective of your project. Creating a detailed Q & A to answer all of the typical questions that your supporters would likely ask and also provide them with reasons why they should contribute to your project. Striving to provide a full glimpse of your project within your content, along with providing periodic updates on the progress of your project. Investors love to see progress in something that they have invested in. You should feature guest posts from individuals, such as social influencers who will matter the most to your audience. Firstly, to get PR coverage, you need to reach out to journalists or influencers to talk to them about potential collaboration. Secondly, you can find events in the country that match your product, find out how to get a booth and/or a speaking spot, and present your product idea to the people at the event. Below are other thoughtful tips to ensure that your crowdfunding campaign gets the PR coverage that it requires. Make sure to build or forge relationships way ahead of the campaign launch. Attend events to tee up media relationships and drive early momentum towards your campaign. Create a viral campaign (optional). This is a great way to develop visibility for your startup and gain some early traction early on. Build social proof with customers by interacting with customers, advisors, investors, and/or the media. When looking for a crowdfunding platform that you want to fundraise on, make sure you check for fees. Crowdfunding platforms are not in the business of offering free business. Therefore, they take a percentage cut from your overall donation earnings. Others, use an all or nothing model where if you fail to hit your intended capital goal, you end up receiving nothing, and your willing donors are not charged. Therefore, depending on the kind of assistance you want and what you are trying to achieve, it’s recommended that you directly write to the personnel who are in charge of the platform to ask. Secondly, you need to look for a platform that offers support for projects in your area of specialisation, industry, or category. This is because different sites specialise in different sectors. For instance, Fundable focusses on small business crowdfunding while others like Crowdrive and Rockethub focus on social non-profit causes. A site like Kickstarter, is all-inclusive and has support for a variety of different project categories to choose from. Therefore, some platforms are going to be more suited to your project than others. If you’re not sure about which site to use, compare and contrast a few options until you find one that works for you.